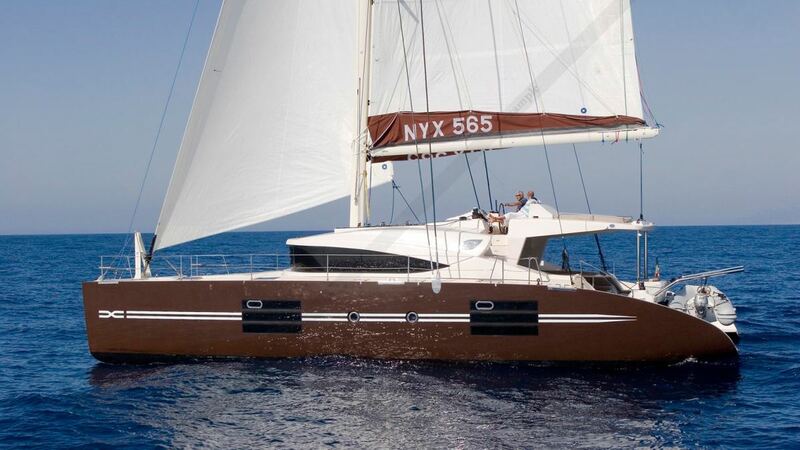 This NYX 565 is an exceptional catamaran for a luxury cruise in Sicily for 8 passengers. The interior design reflects luxurious comfort. The teak fittings and clear ceilings provide a perfect interior harmony combining nobility and modernism: a panoramic open space towards the ocean, a convivial coffee table, an exceptional outdoor space. 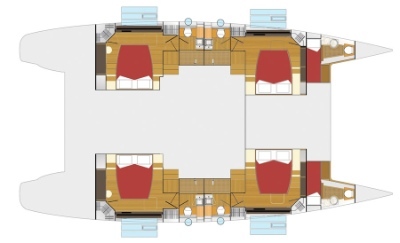 In addition, 4 luxurious and spacious double cabins which have fully independent bathrooms and low draft drifts will allow you access to all anchorages. 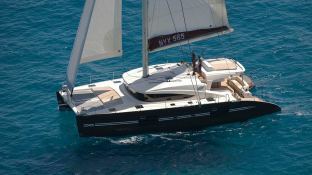 A boat charter in Sicily will allow you to sail in the Aeolian Islands from Milazzo. 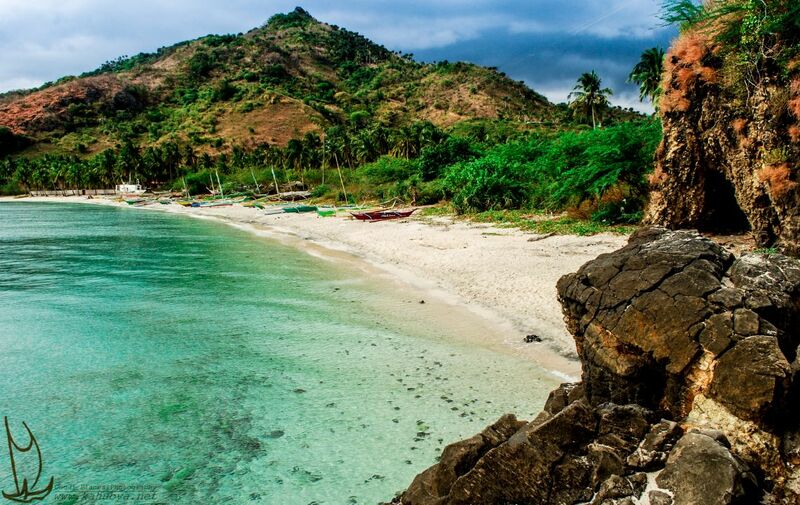 However, if you want to go on a cruise to Sicily from Palermo you can sail to Ustica located in the northwest of the island. 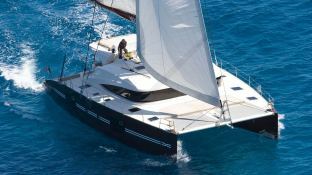 Chartering a boat in Sicily in the middle of the Mediterranean Sea is the guarantee to live unforgettable moments to discover places full of history as Syracuse, Taormina, Cefalù or Marsala. 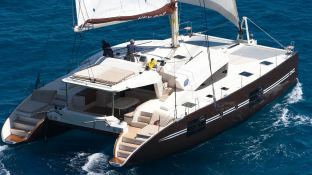 You will enjoy the pleasures of navigation at more than an average 10 knots including the many activities on-baord and discover in incomparable comfort, one of the most beautiful paradises on earth. This crewed catamaran is available for yacht charter with a base price of 10 300 € (approximatly 11 616 $).